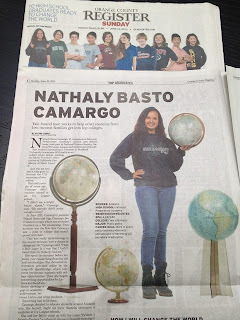 Congratulations to Fairmont Prep Academy's Nathaly Basto Camargo who was named one of Ten Graduates Who Will Change the World by the Orange County Register. 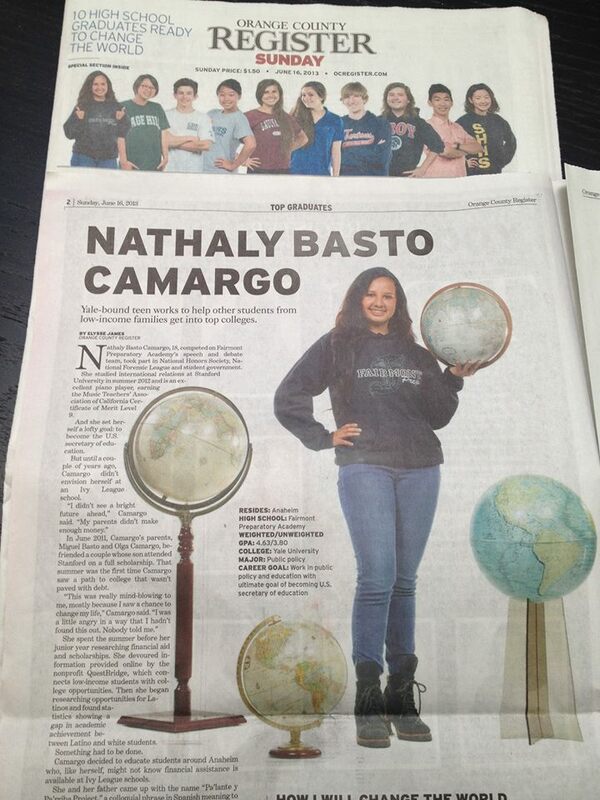 The article shared Nathaly's passion for education and for giving back to her community. She founded an organization with a mission of educating high achieving minority students on ways to receive acceptance and scholarships to top colleges like Harvard, Stanford and Yale, where Nathaly will be matriculating this fall. She took what she learned from her own experience and started speaking at area public schools--motivating soon-to-be graduates on how they too could go to a top college on scholarship. Great work Nathaly! We think you're already changing the world for the better and wish you all the best at Yale!